When we are young we take things for granted. 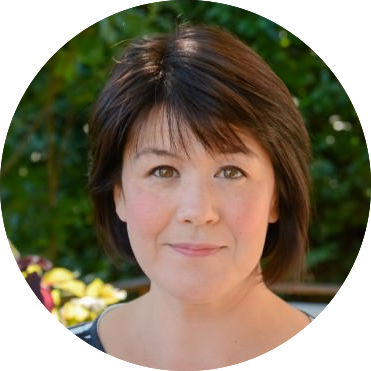 I was always a little embarrassed and sometimes horrified by the smells and sites coming out of our kitchen. My mother is from Okinawa and she went out of her way to cook things that she thought I would like to eat. Hamburgers, french fries and macaroni and cheese were common dinner items. I always thought that the food she cooked for herself was weird and strange, she had rice and pickles with every meal and kimchi was always in our fridge. I thought it was foul and smelled terrible and I didn’t want anything to do with it. 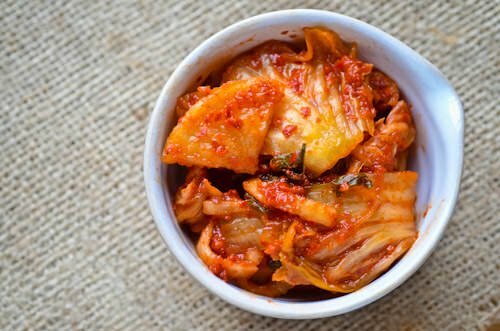 If you’ve never had the pleasure of experiencing kimchi firsthand it’s a fermented Korean pickle typically made with cabbage. 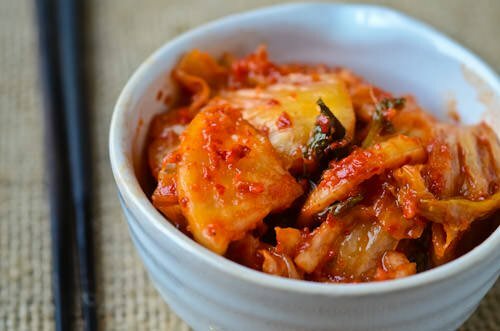 There are infinite varieties of kimchi and there really is no right or wrong way to make it. Traditionally Koreans would bury huge pots of kimchi in barrels in the fall and then dig it up in the spring when it had fermented. It is served at every meal and loaded with vitamins A, B, and C, and is full of healthy bacteria that can aid digestion and promote intestinal health. Now that I’m older I have developed a huge appreciation for this enemy of my past. 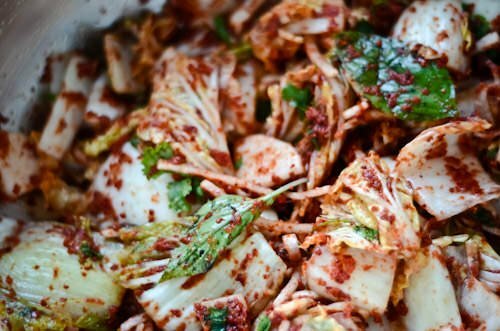 Kimchi is all the things I remember and more, it’s stinky and pungent and delicious. This is how my mom made it and you don’t have to follow the recipe exactly. The one ingredient you shouldn’t substitute is the gochutgaru chili powder, it’s less spicy than most other chili powders and it won’t be quite the same without it. Feel free to add or subtract some of the chili powder if you want more or less heat. You can add carrots, green onions, lettuce turnips, mustard greens or anything that you’d like to pickle. For a vegan version you can omit the fish sauce and shrimp and substitute with 2-3 tablespoons of soy sauce. 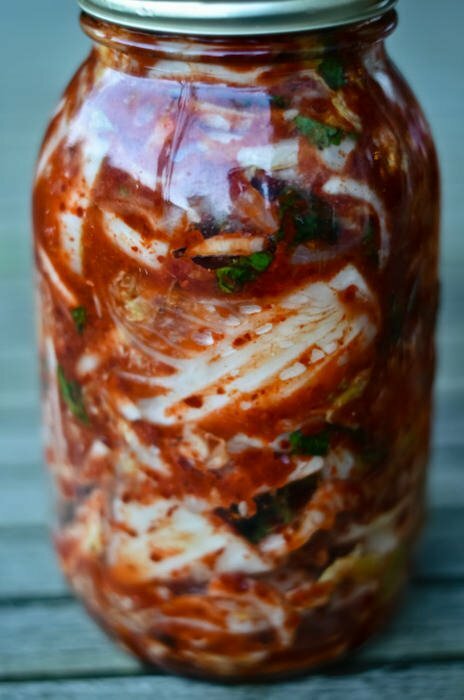 If you’d like to see one of my favorite ways to use kimchi in a recipe check back tomorrow! 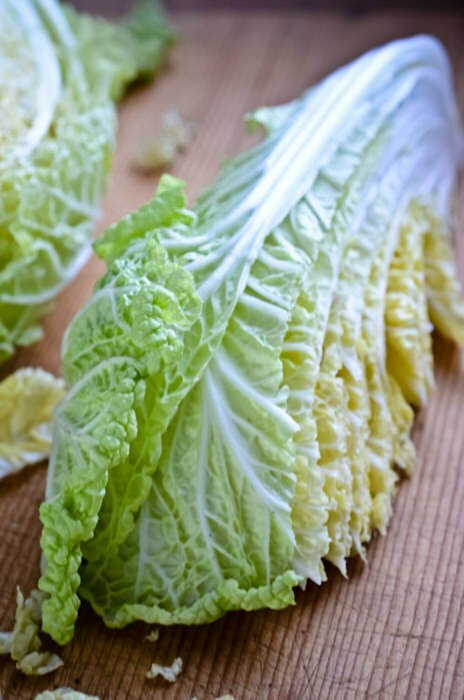 Remove outer leaves from cabbage and quarter each lengthwise and slice each quarter into 2 inch pieces. 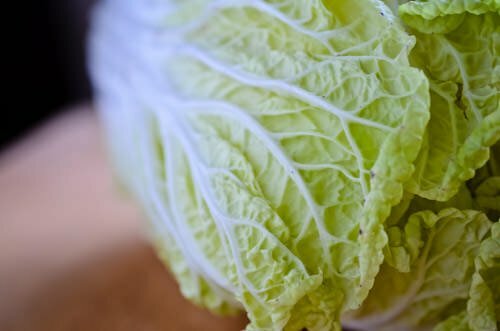 Wash the cabbage well in several changes of water to remove any dirt or grit. 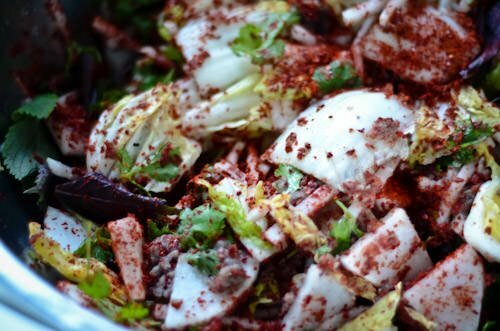 Layer the cabbage in a large bowl with the salt and let sit for 45 minutes. Toss well and then let sit for another 45 minutes. 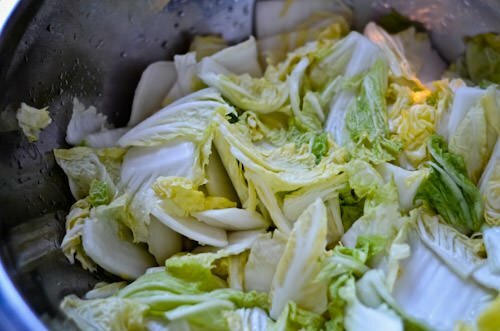 Rinse the cabbage well in a few changes of water to remove the salt. Place the ginger, garlic, onion, sugar, and shrimp into a blender or food processor and process until smooth. Add fish sauce and chili powder and stir to combine. Place the cabbage, basil and daikon into a large bowl and pour the ginger chili mixture over the top and toss well to combine. Pack the mixture into 2 quart glass containers as tightly as you can trying to remove as much air as possible. Let stand at room temperature for 2 days and then transfer to the refrigerator for up to 6 months. What keeps this from spoiling? The salt cure creates lactic acid and the fermentation process encourages the growth of good bacteria and creates an environment that prevents the growth of bacteria that normally makes food spoil. The flavors will become more pronounced the longer it sits in the refrigerator and develop that trademark funky smell that kimchi is known for.